Alexandra Rowan earned a double major degree in creative writing and communications. Shortly after her graduation in 2013 she died suddenly and without warning because of her use of hormone-based birth control. 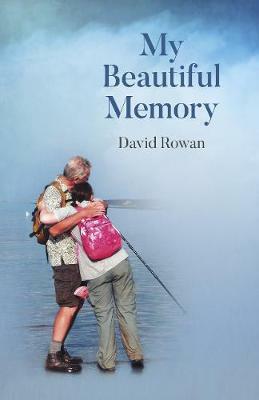 This book is a testament to her life, written by her father, David. My Beautiful Memory examines her life and death, and describes the difficult journey that her parents had to undertake following their loss. It concludes with an examination of the US drug industry's influence over the regulation of these drugs that kill over one thousand women each year. Alexandra was a young woman with a love of many things, but her chief passion was writing. Latter parts of the book are written in her own words. David Rowan is head of the not-for-profit Alexandra L. Rowan Foundation, which promotes creative writing via an internship program and annual writing festival at the University of Pittsburgh, in memory of his daughter. He collaborates with the National Blood clot Alliance and other organizations to raise awareness about the risks of using certain hormone-based contraceptives. David was recently featured in documentary 'Sweetening the Pill', produced by TV personality Ricki Lake in association with Holly Grigg-Spall and her Zero Books' title of the same name. David lives in Houston, Texas.